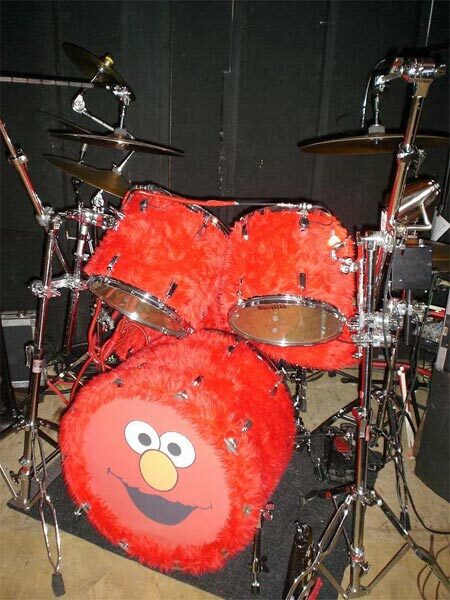 This is my "elmo" drum kit. 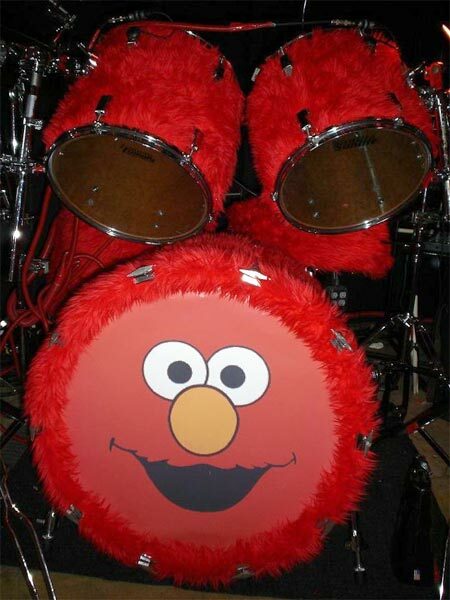 I bought the drums off of ebay and people called them "elmo drums" so I completed the drumkit with a vinyl sticker of elmo's face and the drums have recieved fantastic positive response. 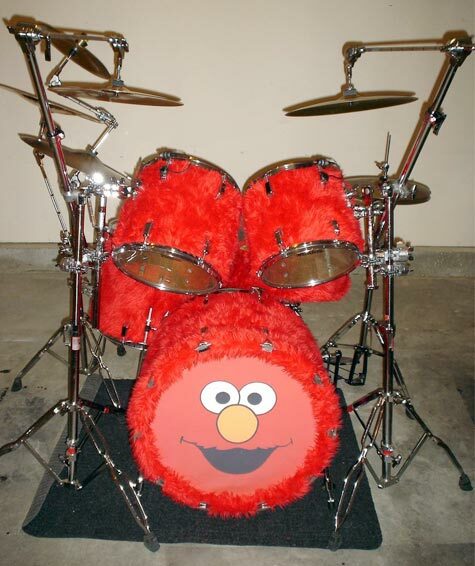 The drums are remo acousticon from the mid 90s, the snare drum is a pacific wood hoop 5x14 maple snare. 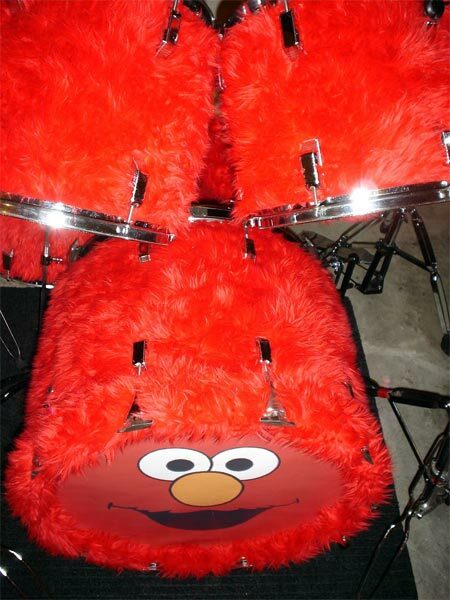 The sizes are 16x22 kick, 10x12 tom, 11x13 tom, and a 16x16 floor tom. 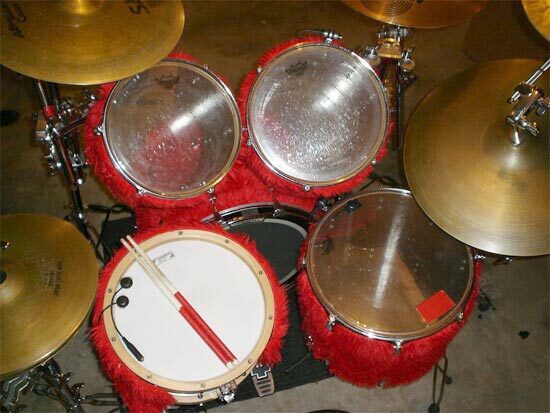 The crash cymbal stands are tama stilt stands with an extra boom part that allows the cymbals to be suspended.